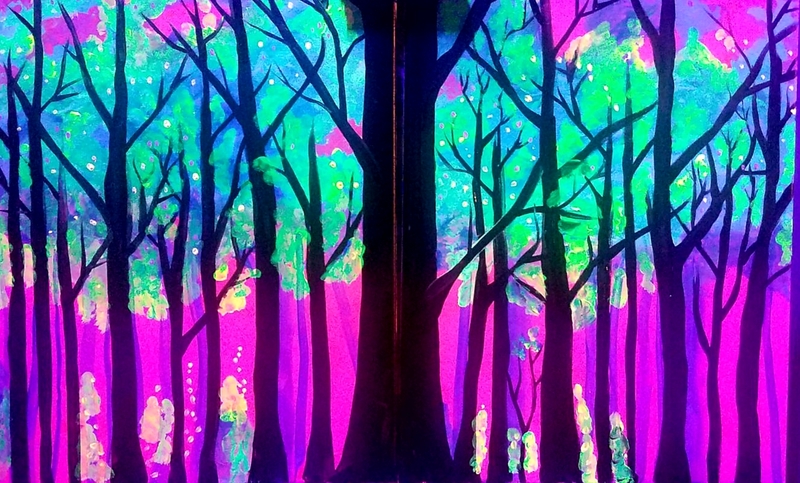 Date Night Forest IN BLACK LIGHT! Come free your mind to some paint & wine! The studio will be entirely in black light to paint this 2-panel painting that is only complete when put together. Perfect for a unique experience together and a memory to last a lifetime! We will walk you through this painting step by step, no skills needed. Wine, beer and other beverages sold on premise. About a 2 hour class. Take your painting home when you go. All art supplies included in price. One canvas per ticket. Reserve your seats here!